We’ve plenty of things to keep you occupied during your inpatient stay and, you can also now listen to our service when you are back at home or on the move. 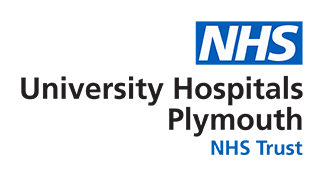 Our live 24-hour-a-day service can be heard in Derriford Hospital via the bedside entertainment system; on 87.7FM within the Derriford Hospital grounds; or at www.hospitalradioplymouth.org.uk (there’s free wi-fi in the hospital). You will find more information about our services on our website or in the bedside information folder. Volunteer-led: We are staffed entirely by volunteers who create and produce both live and recorded programmes. We have the ability to go live from pretty much anywhere and with that in mind we continue to broadcast the Plymouth Argyle football matches from Home Park and the chapel service live from level 7, direct to your bedside. Our volunteers range in age from those in their teens through to those in their seventies and they come from a variety of backgrounds. As well as able-bodied persons, we also have some volunteers with physical and learning disabilities. If you are interested in joining us you are welcome to email us on membership@hospitaladioplymouth.org.uk. Award-winning: The quality of our programming has been recognised with an array of awards over the years. We have been in the final 10 shortlisted for the Hospital Broadcasting Association’s Station of the Year for every single year between 2008 and 2018 and when you consider there are more than 200 hospital radio stations across the UK this is quite an achievement. We have been awarded the Station of the Year title five times. Details about the current schedule and how to contact us with queries and requests can be found on our website, and if you have any suggestions to improve our service the ‘Contact’ button can also be found there.